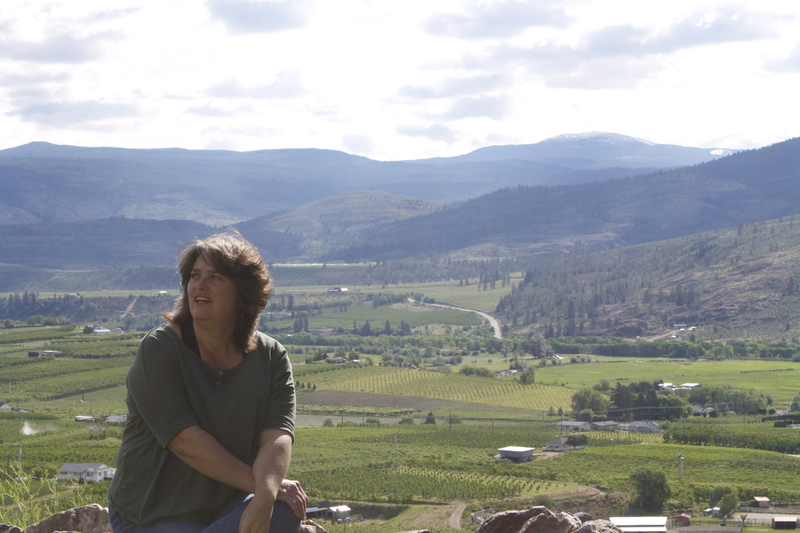 We seem to define ourselves by how others see us so if you like wine: I was the Winemaker and CEO at Tinhorn Creek Vineyards in Oliver, British Columbia from 1994 until 2017. I am also the wife of a wonderful husband, Kenn Oldfield, the bedrock beneath my roots. I’m also the proud mother of a beautiful adopted daughter who changed my life 2 days into hers. I’m one of the ring masters of a large menagerie of cats and dogs and in my spare time I like our hot tub under the stars, my vintage cars and of course, being with my friends–who also help define me. I believe in our local BC wineries–the people in them that make them run, the vineyard workers, the marketers, the hospitality people, the industry they fuel and the tourism they generate. I believe in the British Columbia wine industry and us working together for common goals. I support fellow BC wineries to the fullest and desire for us all to do the same. I started #BCWineChat on twitter in December 2011 to help facilitate brining our industry together, to combat various government agencies who control our industry using the “divide and conquer” method. I love the life I live…I am living vicariously through me. Nice blog, Sandra. I enjoy learning and reading more about the people I “know” on twitter. Keep up the great writing! Love it Sandra! Thank you Ken Payton for the intro. I started my blog for exactly the same reason. I can’t explain my love for wine in 140 characters or less. Your first blog? Gave me goose bumps when I came to the part of your dad handing over the keys and then driving your family back. Very sweet story! Yep….I’m a good judge of character…even in 140 or less. Unexpectedly while browsing internet, I came across your blog, very interesting story, it is not only story but it speaks your love, your hard work and most importantly your dedication. I am happy to know that you have done a great job and you are doing a great job. I was impressed with your post ” Moving Beyond Waste Diversion”. Good Luck for your ventures. I’m glad I took the time to read this. You come across as real and unpretentious. I’m sure other Californians must wonder at your migration north when they think you were already in the Promised Land. I look forward to getting to know you better on Twitter. There were a lot of head scratchers in California when I said I was going to make wine in Canada. A few years later they at least had heard of the Okanagan Valley. Now, they are griping about how hard it is to get delicate flavours in the heat down there and are asking me lots of questions about our weather, acidity levels etc. Thanks for your comments Lorie! Sandra, I’ve been following your tweets for quite a while. So happy to have come across your blog today. Thanks for taking the time to be so social on social media. Thank you! Of course, I haven’t updated it since the bulk of harvest has come in–but I have keep up to date on the page “SyrahTuesday”. Hopefully this week I will post again! Right on Sandy! Found this via Kunkee news. Thanks and keep on. What a beautiful life you live! Nice wines too. As your Father you can be sure I am your most loving admirer!!!!!! What brings you to Bhutan! What a great adventure you must be on! Bhutan is an amazing place, just opening up to the world…organic in so many ways besides all the food!! I used to own a small acreage south of you…sold it to a the Chef from Burrowing Owl, Chris van Hoydonk a number of years back…but I know I will return! I love BC! And I truly miss those amazing wines!! I saw Blue Rodeo at one of your events many years back…an amazing place you have created for yourselves and so many others! kind regards and “tashi deleh” ` may all good things come to you!